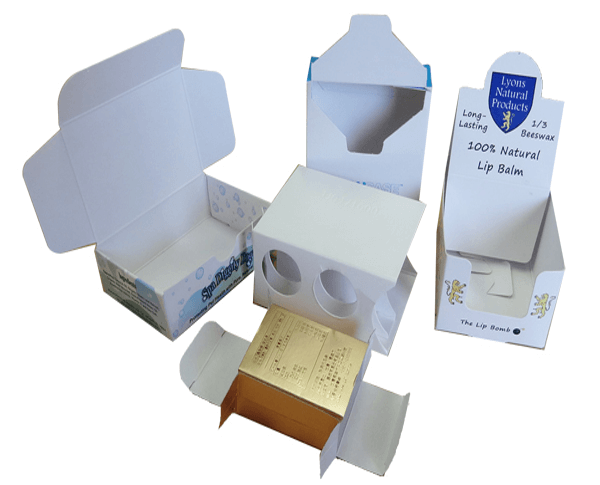 For products of all kinds, and of all different shapes and sizes, you can rely on our custom printed die cut boxes specially made to fit your product specifically and to match your vision for its look. Whether a custom shape die-cut window or custom shape of header display cards, at Business Image Printing, you can print just about any sort of product packaging you can imagine, all you have to do is let us know a few things about the specifications of your product and how you want it to look. With die cut boxes you can create a variety of different shapes and sizes to match your product perfectly as we feature state-of-the-art technology built to create templates for any kind of custom box imaginable with precision and flawlessness. And simply making a box isn’t even close to the end of it, print anything you want from product information to personal artwork or images, and if you feel like your product needs some extra flair then we also offer a variety of additional features to include with your custom packaging such as die cut windows or embossing to make your product stand out even more. Like we always say, if you can envision it, then we have the tools and resources to make it. To get started on making your very own custom printed die cut boxes with low price and fast turnaround, all you have to do is give us a call and we can immediately begin discussion on the future of your product’s packaging. Nowhere else can you achieve such amazing results at such affordable prices, at Business Image Printing we truly hope that you’ll choose us to help you create custom packaging the next big thing. For more information regarding any special additional features such as spot UV coating, hot stamp foiling, or embossing, feel free to contact us for more details.